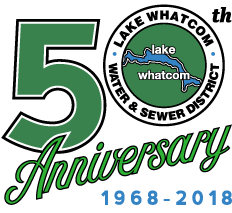 Complete your permit application packet and return to the Lake Whatcom Water & Sewer District office. When the permit is ready, a District representative will contact you to set up your permit intake and payment appointment. You must have your Whatcom County Building Permit before we can issue a Water and Sewer service permit. For more details and requirements, please read the permit application packet. Engineering Office Hours are Monday to Thursday, 8 am – 4 pm, however our engineers are often in the field. If you wish to speak with someone from the engineering department in person, it is best to call ahead when possible.